You are about to embark on a journey of exploration with children that potentially will not only help them grow in Christ as Baptist Christians but will also enrich your own understanding of basic Baptist beliefs and practices. After all, nothing stimulates learning more than discussing such matters with inquisitive children, full of questions and enthusiasm. 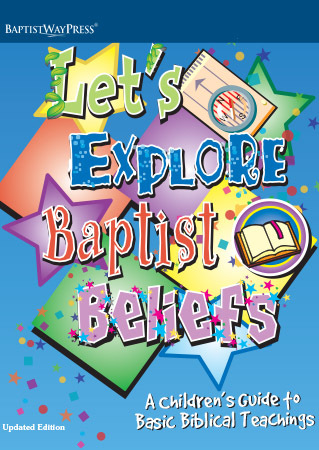 Let’s Explore Baptist Beliefs is a study prepared for children in grades 1–6. The material can be utilized best by children who read and by those in grades 3–6. Suggestions are included, however, for using the material with groups that include children who are not yet able to read and children who are in earlier grades. 5 lessons.